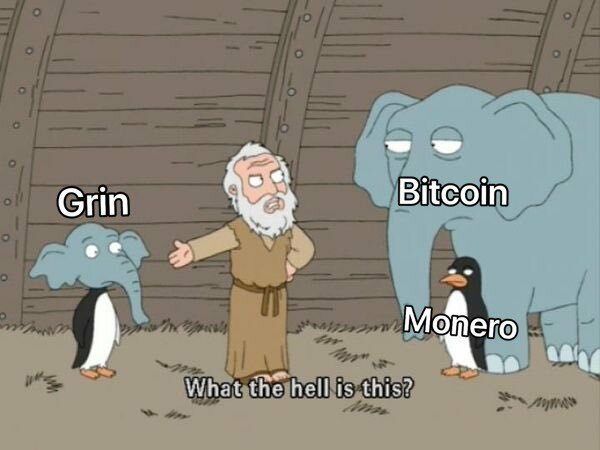 "Crypto is software eating finance." During the last week, the crypto market continued to grow and gained $7.7 billion. Bitcoin broke above $4000, which is a roughly 3% increase. Several large altcoins including Bitcoin Cash, Litecoin, Binance Coin, Tron and Maker have experienced growth. Ether rose by 7.6% to $140. US SEC chairman Jay Clayton confirmed Ether is not a security. Basel Committee, an international committee formed to develop standards and supervision for banking regulation, released a statement on cryptoassets. In the statement, the committee has outlined supposed threats posed by cryptoassets and expects banks to improve their risk management if they are going to have direct exposure to the cryptocurrencies. A trailer for the upcoming movie “Crypto” has been released on YouTube. In the film, cryptocurrencies are used to launder money for Russian Mafia, so it seems like the story shows only the negative side of the new technology. When did Bitcoin Cash (BCH) launch? 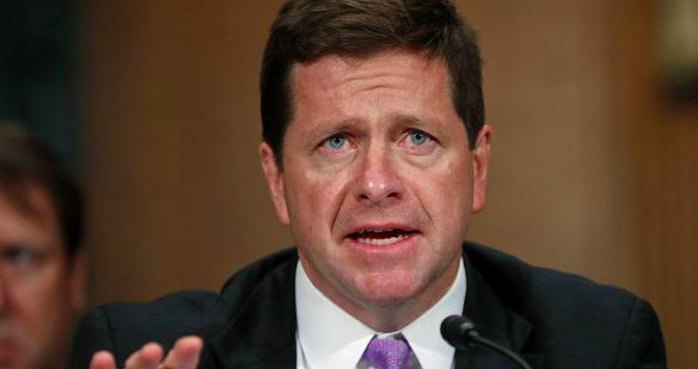 Jay Clayton, chairman of the U.S. Securities and Exchange Commission (SEC), confirmed his colleague’s analysis that suggested Ether is not a security. 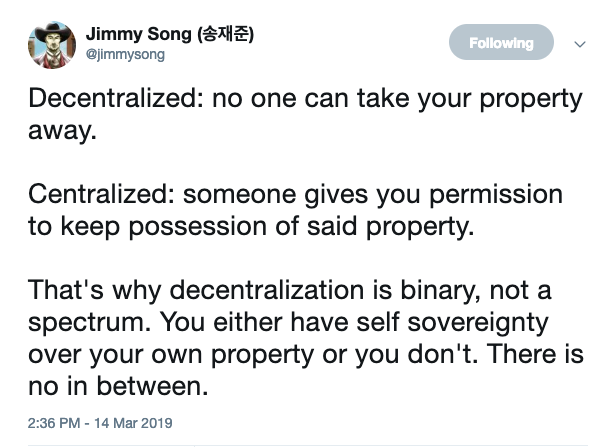 Last year, SEC Director of Corporation Finance William Hinman said that Ether did not exhibit the properties of a security in its current state, because the platform is sufficiently decentralized, which means no one controls its supply or trading. After a request for clarification on the issue, Clayton responded, “I agree with Director Hinman’s explanation of how a digital asset transaction may no longer represent an investment contract.” Though Jay Clayton suggests that Ether and other cryptos don’t fall into the category of securities at the moment, he also agrees that their classification as a security or not can change over time. 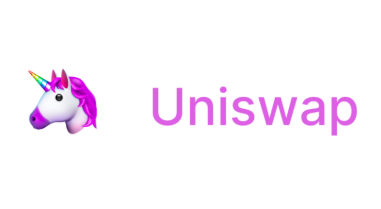 Uniswap is an Ethereum based open source DEX protocol which launched in November 2018. Since then it has quickly become one of the biggest DEXs on Ethereum. Uniswap allows users to swap between Ether and ERC-20 tokens easily. Unlike traditional exchanges that match buy and sell orders, Uniswap enables users to trade against smart contracts instead of other users directly. Every ETH and ERC-20 token pair has its own liquidity reserve on Uniswap. Users can freely create any trading pairs. Liquidity providers put an equivalent dollar amount of ETH and an ERC-20 into a smart contract as a reserve and earn 0.3% fee on every trade executed on a Uniswap exchange. Currently, more than $5 million worth of tokens are locked up in the liquidity reserves. 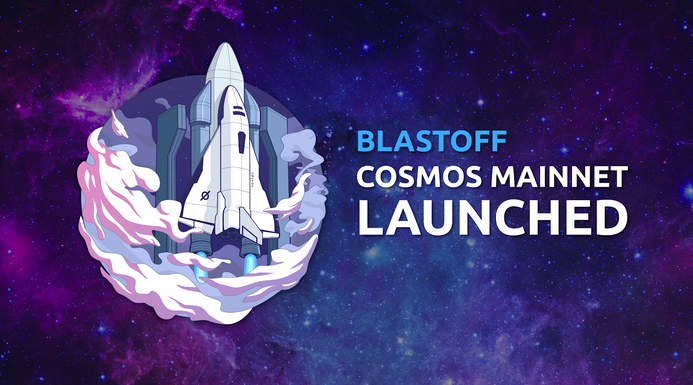 Last week the Cosmos Network, which raised over $16 million in an ICO in 2017, launched after three years of development. 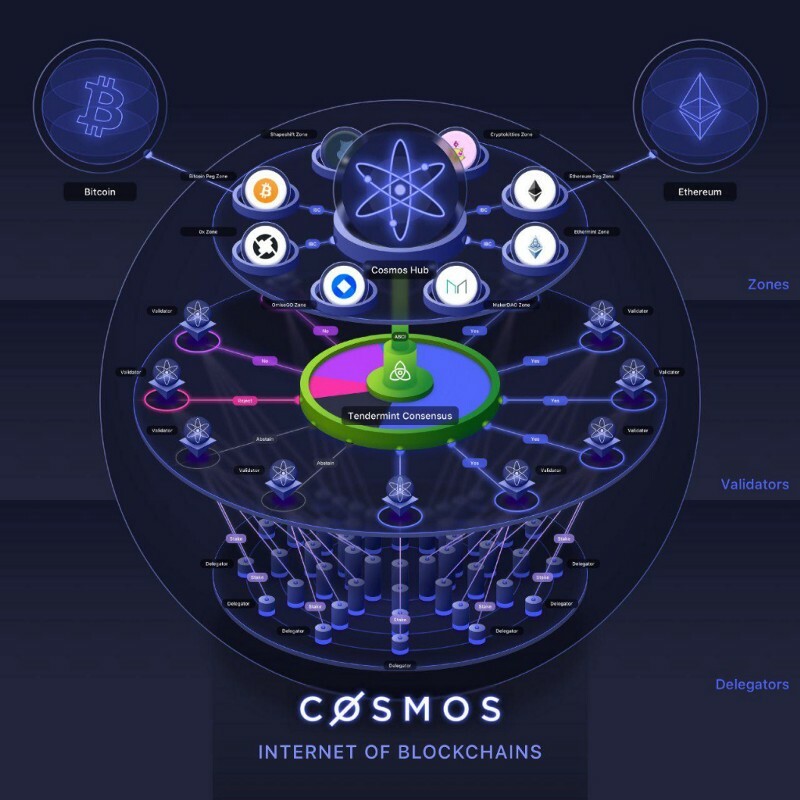 Cosmos is a decentralized developer platform to create blockchains and connect many independent blockchains. It aims to solve scalability and cross blockchain communication. Cosmos uses a consensus mechanism called Tendermint which builds on decades of academic research on distributed systems. Tendermint promises scalability and fast confirmations. Under Tendermint, users delegate their stake to validators who also stake their own funds. If validators misbehave their funds will be slashed. Tendermint based blockchains can send and receive tokens seamlessly without the need for an exchange. Cosmos has a two token model, Atom is the native staking token, and Photon is a secondary fee token. Tether (USDT), the world's most popular stablecoin has been criticized for changing its terms on its website. Previously Tether used to claim that each USDT was backed by 1 USD in reserves. According to their website, while Tether is 100% backed, its reserves may include other assets such as receivables from loans made by Tether to third parties. “USDT is now officially not backed 100% by USD,” said a Reddit user. Tether is loaning its cash reserves out to make interest. The crypto community was concerned over the matter and didn’t approve of Tether changing its terms. 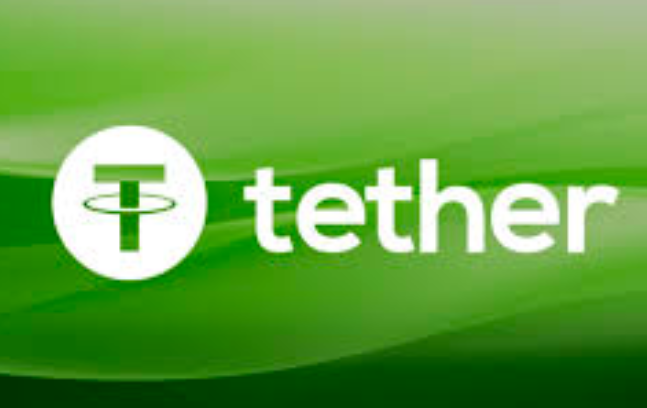 However, Tether says it remains stable and 100% backed, only the composition of reserves changed which includes cash, “cash equivalents” and receivables from loans issued by Tether. Ripple’s Xpring initiative, which invests, acquire and provide grants to blockchain projects in a variety of industries, announced that it will invest $100 million to fund blockchain game developers. The fund is entirely supplied by Ripple but will be managed by Forte, a company launched last month that aims to upgrade the games industry with blockchain technology. Forte is advised by top venture capital firms including Andreessen Horowitz and Coinbase Ventures. The goal of the partnership between Forte and Xpring is to accelerate the mainstream adoption of blockchain technology in gaming. The price of Ripple jumped by 3.5% following the news. 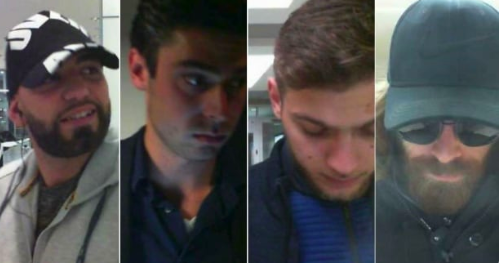 Canadian authorities are looking for help to identify four men who conducted double spending attacks against Bitcoin ATMs in four cities. Some Bitcoin ATMs allows you to withdraw Bitcoins with zero confirmations, so you don’t have to wait for an hour with 10-minute blocks.  These men created two transactions, one paying a specific address and another one that double spends that transaction with a higher fee which gets included in the next block before the other transaction. According to the CBC the four suspects managed to get away with over $150,000 by taking advantage of the Bitcoin ATMs that accept 0 confirmation transactions. IEO stands for Initial Exchange Offering. It is new trend in cryptocurrency space when crypto exchanges issue tokens to investors on behalf of crypto projects instead of crypto start-ups issuing tokens directly to investors through an ICO. In return, exchanges receive an agreed percentage of the total raised funds. IEOs are becoming popular after so many scam ICO projects had been presented in 2017. Exchanges act as filters as they are offering projects they have researched and deems to have the best success. After Binance Launchpad successfully released a couple of tokens, every other exchange wants to have their own IEO launchpad. KuCoin is launching its IEO platform called Spotlight, and Huobi is releasing Huobi Prime at the end of March. However, as an investor, you always have to do your own research. Just because a token is on the exchange in launchpad it doesn’t mean it’s a good project. Bitcoin Cash launched on the 1st of August 2017. Bitcoin Cash was Bitcoin's first official hard fork that resulted in a blockchain split as a result of a disagreement on how to scale up Bitcoin. The first network split occurred in 2013 due to a software bug, but eventually got fixed in under a few hours and only one branch survived.